Check out my creative team post for the Scraps of Color blog...You can visit the blog HERE. 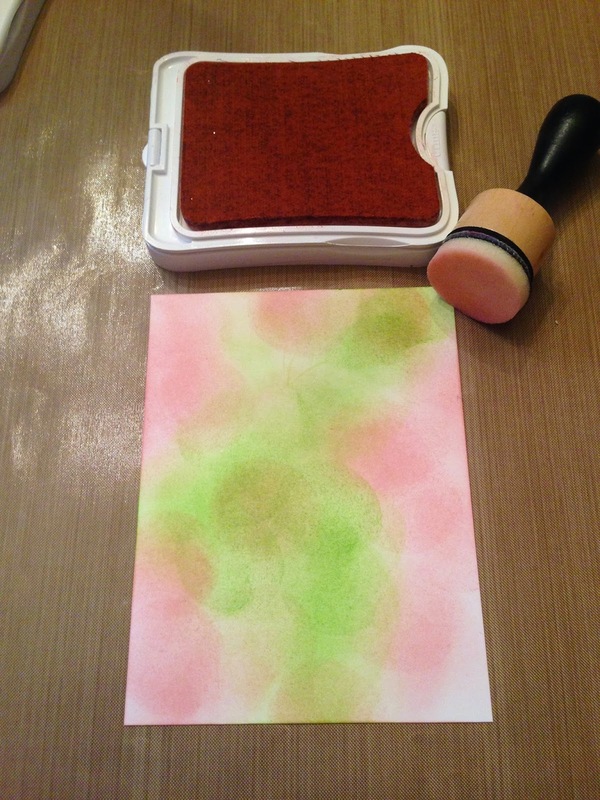 Are you wondering what exactly is Bokeh and how it applies to stamping? 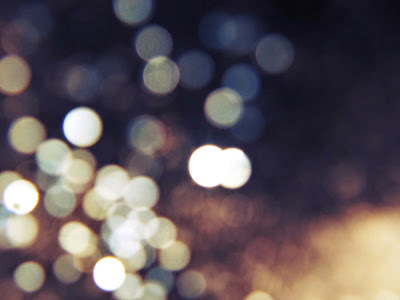 In the photography world Bokeh is the visual quality of the out of focus areas of photographic image. 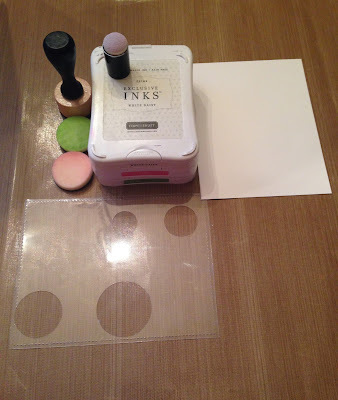 This same look can be applied using your stamping products. If you haven't tried this technique follow my picture tutorial and make some beautiful cards. 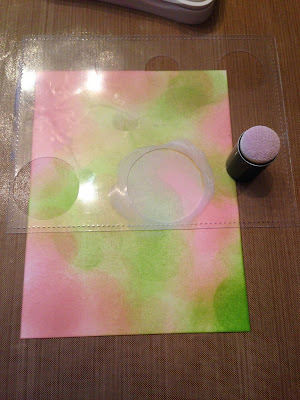 With this technique I used inks, card stock and a piece of acetate in which I cute 4 different size circles using my circle punch. I started off with a piece of White Daisy card stock. 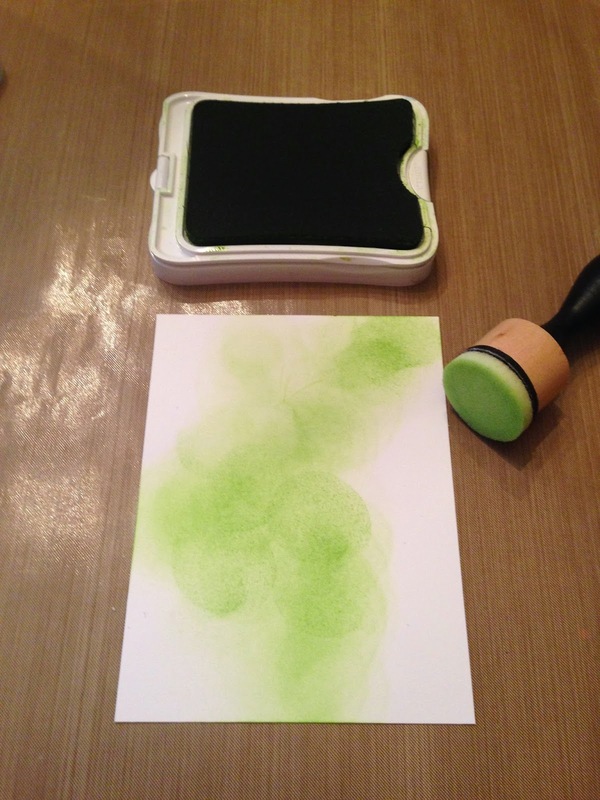 I inked up my sponge in CTMH pear ink. 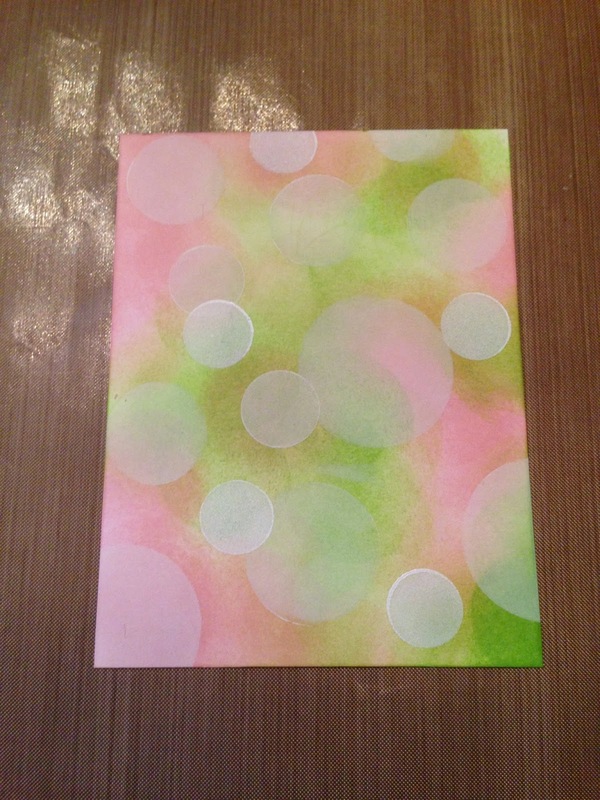 I randomly made circular motions on the card stock leaving some white space for my second color. I used the same circular motion using CTMH Pixie ink covering the white space. I also went over some of the Pear ink which gave it a third color. I noticed a little white space so I went back and filled that in with the pear ink. 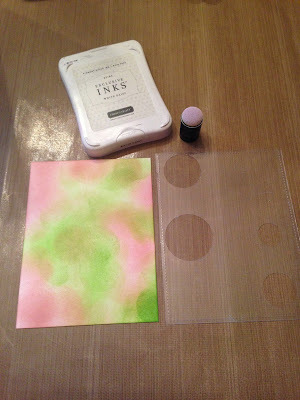 Once my card stock was covered I grabbed my CTMH White Daisy pigment ink and the template I made earlier. 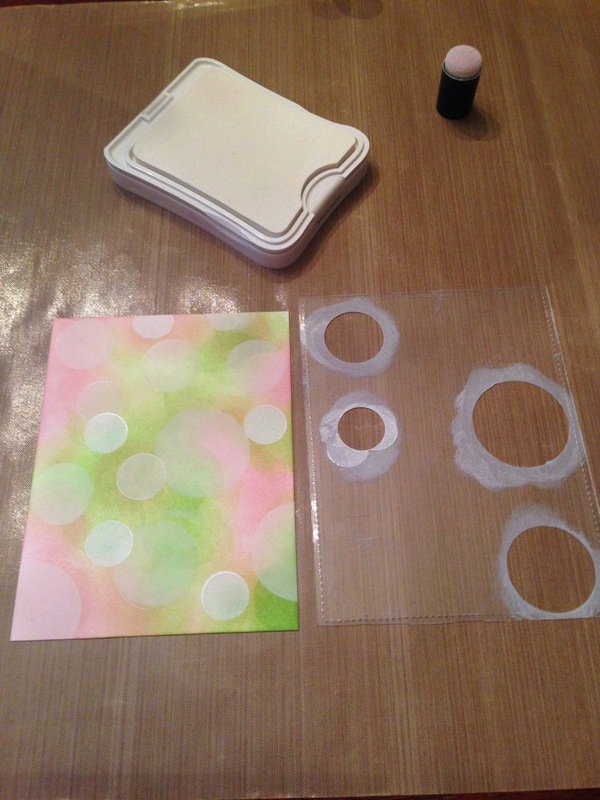 I placed the template on the card stock and inked up the circles with the white pigment ink. No rhyme or reason just covering areas with the different sized circles to give it the Bokeh look. You can even have a few of the circle attach to one another. When I was done I took my sponge dauber and made a few random prominent daubes which really made some of the smaller circles stand out. This card I masked off a portion of the left side of the card stock leaving some white space. I used CTMH Rainy Day stamp set. I colored the image with Copics. I used a die to cut out the sentiment and the camera. The camera was perfect considering we are taking about Boken...Say Cheese!! I masked off the top and bottom of this card mat. 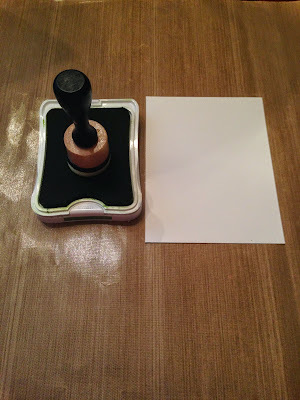 I stamped the sentiment using the CTMH Happy To Be Friends stamp set. This one I added a few more embellishments to jazz it up. 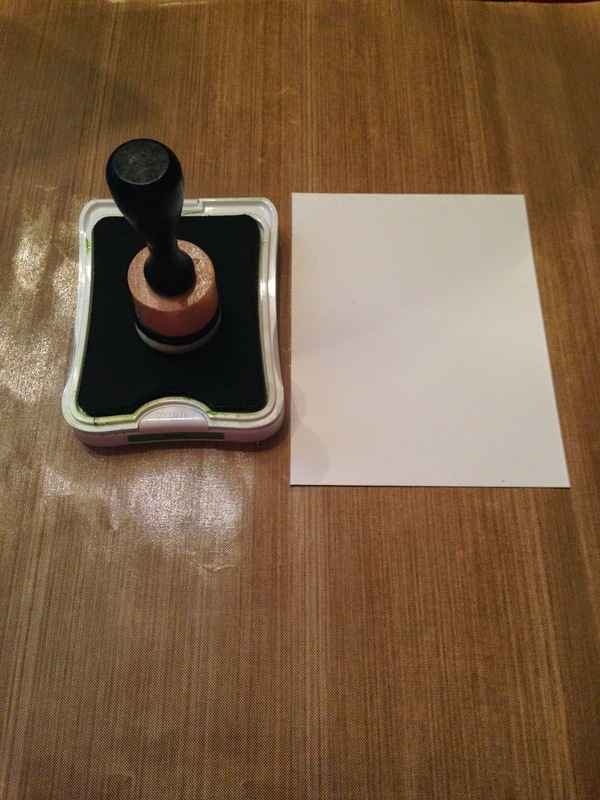 The stamp set is CTMH You're The Bomb. I can't wait to see what you create using the Bokeh technique!! Shalana these Bokeh technique cards are gorgeous!!!! Love them! :) Kim H.
Thank you Kim H. Such a fun technique. Thanks for stopping by! !